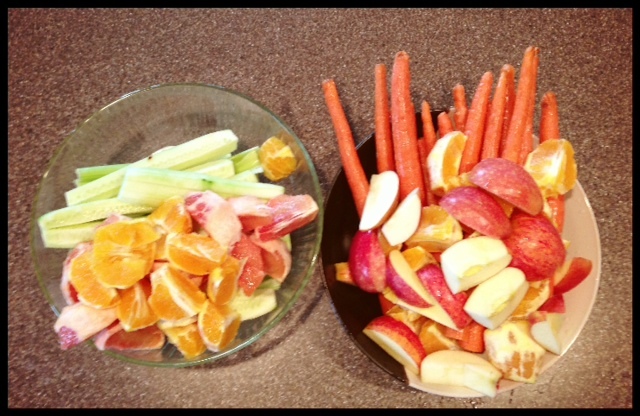 When I make juice, I just go ahead and do enough for two big batches at a time. It’s easier to do a quick rinse between batches! It was over a year ago now… but I was contemplating what to do about two lumps, likely fibroids, that are still within my breasts. My previous surgeries were before kids. At age 15,17 and 19… I had one, three, and then too many lumps to count … over 13. They were in my milk ducts, and doctors advised to “wait” on removing many of them that weren’t over a certain size – until after I was finished having children. So, I was done nursing, and ready to have them removed. They were my “last two” from the memories of super dense breast tissue with massive growing tumors, and 3 breast surgeries – before nursing 8 little ones. Undrainable, and undeniably annoying… I wanted them out. One is right on my bra line – it bothers me there – it’s uncomfortable… I know it’s there… sometimes it’s painful. Then there is the issues of holes, and being scarred, droopy, and way lop-sided. A few appointments with a specialist and I was fairly certain we could get the lumps and breast tissue all out, and maybe implants in and get things filled in, and “back to normal”… It had been over 20 years since I first started having breast surgeries to remove my rubber-ball consistency, fast-growing lumps. It seemed like a good idea… OR did it? Turn back the clock to 7 years ago. A good friend of mine, who also had fibrocystic breast disease… found a lump in her breast. I believe she was 43. It seemed young to me. I was only 31. We talked for great lengths about how we had both been told, those with fibrocystic breast disease have a lower chance for breast cancer. This couldn’t be happening. You were supposed to be at a lower risk if you nursed at least 2 children over a year. She had nursed all 3 of her babies at least that long. There was no history of breast cancer within her family, so this was unbelievable! SO unfair, I thought. Her decision to remove the lump, was a great one. At the time, I thought her “preventative chemo” and radiation was also very brave. She was going to give herself the opportunity to live a long, full life. It was unfortunate, that the port that was placed to give her “life saving chemo” – ended up contributing to the very thing that took her life. Puncturing her lung in the process, the battery-acid-like-substance was poured into her lung, went across her heart and chest… causing unrepairable damage, and slowly killing her over the next year with lung and heart complications, despite the fact she was “cancer-free”. Like chemo so often does, it caused a secondary cancer that she was unable to fight – leukemia. Her immune system was so down at that point, there was no way she could fight any more. It was the worst nightmare anyone could have imagined for her. In her effort to live… she ended up dying, what seemed like, too soon. What happened to her obviously sculpted my life, forever. It stung deeply, and yet it also helped me realize the mortality of myself, regardless of my age. There were no promises I would get to raise my children. It made me realize that you can’t prevent everything – and statistics don’t mean much, no matter how loudly you say them. Ultimately, God is in control. Back to my thought of implants… it was 2 years ago… and I was starting to become sick again from the celiac disease but I didn’t know WHAT “it” was. The more research I did, it was not in favor of implants… in fact, many people (here is one example) had chronic issues systemically that they often tied to their body chronically fighting some foreign object, once they had their implants done. I really had to soul search, was this risk for me – who was trying to be healthy with a compromised immune system? The facts were, this would be something foreign to my body – that it would be chronically fighting against… before any tears, or spills happened with the implants – just being IN there. This would be something I would need to get regularly monitored for maintenance – and replaced, for the rest of my life. Is that really something I wanted to continually invest in? What would God think of this? What did my husband think? In the grand scheme of being healthy… I needed to get RID my body of toxins… not add in new toxins for my body to fight against. Things that are “FDA approved” and “safe” – do not mean… “there are no risks”, or that we shouldn’t be very concerned of our body’s acceptance, after all – ALL prescription drugs that are pulled off the shelves for enough bad reactions were once approved as “perfectly safe”. My husband said he loved me just the way I was and he wanted me to LIVE to be well, and I know he meant that. (that’s what you expect a husband to say…. right?) Then he insisted I not get the implants, even before I knew it wasn’t a good idea. I selfishly still wanted it to be a good idea, to feel lump-less breasts for once in my life… but in my heart – I knew. He was right. There would be no eternal purpose in doing the surgery in that way. The implants weren’t safe, it wasn’t a healthy choice. So, although I wanted to “feel” differently about things – my health, for the sake of God, my kids, and my husband were ultimately MORE important than my desire to look a certain way in clothes, or naked for that matter – or to clear out all of my breast tissue in this way – just yet. As for my two current lumps, they are still there. I really didn’t want to have another surgery if I didn’t have to, given all my body has been enduring. I wanted to work on further detoxing and getting well to see if that made a difference in their size, or preventing new ones. The left one has gone down considerably – and other one on the right is the size of a large grape… well… it’s still very annoying. My husband and I have agreed, when the time comes that we feel we need to doing something – it will be stem cell related, like Susanne Somers did – or reconstruction related, from my OWN body – no foreign toxins added to me. For right now, I know in my heart, I’m doing all that I can to live healthy for Him. Posted on July 10, 2013, in Auto Immune Disease, Celiac/Gluten Sensitivity, Our Struggles, Truth and tagged breast cancer, celiac disease, chemo, fibrocystic breast disease, fibroids, Gerson Therapy, healthy for him, implants and auto immune disease, implants and cancer, natural healing. Bookmark the permalink. Leave a comment.